Rory Underwood MBE is a Former England Rugby Player and RAF Pilot. Rory Underwood is best known for his international rugby career, scoring a record 49 tries for England earning 85 caps between 1984 and 1996. He gained a further 6 caps touring Australia (1989) and New Zealand (1993) with the British Lions. Rory Underwood was awarded the MBE in 1992 for his services to rugby. Throughout his record-breaking rugby career Underwood amassed 18 years flying as a pilot in the Royal Air Force. He was responsible for introducing Crew Resources Management (CRM) training into the RAF, thereby developing a culture where personnel look at how teamwork and decision making is effected in time limited stressful situations. Rory has a specific interest and expertise in the areas of effective communication and high performance leadership within teams. His experience and insight gained through his stellar rugby and RAF career has allowed him to bring a different perspective into the performance of business teams. 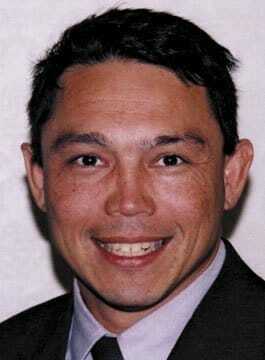 He is a Licensed NLP Practitioner, an experienced facilitator, psychometric profiler and performance coach. Rory Underwood’s motivational presentation has proved a great success with major companies such as Johnson and Johnson, PPMA, Michael Page recruitment and The Prudential. "The feedback has been and remains consistently remarkable. I have been stopped on several occasions by (previously unknown) persons who have responded very warmly - twice today at Woodbridge for example. Also, several people have written in and want to be a part of our journey"
"I would like to congratulate you for your contribution at our Executive Off Site recently. Your experience gained through your service with the Royal Air Force, combined with your numerous achievements on the rugby field, provided a most insightful vision on what makes successful teams. In addition, your contribution to the discussion when clarifying roles and responsibilities and your thoughts on leadership were most useful. I would not hesitate in recommending your personal and your company's services." "Rory Underwood combined his glittering rugby career with that of a serving RAF Officer, and his presentation included a unique insight into the skills required to manage twin careers, and how to use experience gained in one sphere to benefit the other. Using video clips of rugby action, interspersed with amazing on-board film taken from low-flying aircraft, Rory demonstrated, in terms leaving no room for doubt, the absolute imperative for discipline, concentration and, above all, effective teamwork in any given situation. In the most riveting and entertaining way possible, Rory Underwood was making a whole series of business points. Firstly, the need for each individual to manage their own career, and to achieve a proper balance. Above all, he returned constantly to the priority of teamwork, the need for each member to understand their role and to be able to trust colleagues. This applies equally in international sport, in high pressure military situations and no less in running a successful business"
The Motivational Speaker - Telling it as it is!